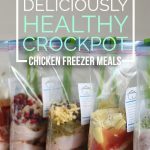 I’ve been crockpotting for awhile, but I just recently jumped on the freezer meal bandwagon and can say that I’m a huge fan. It’s SO awesome to have meals stacked up ready to go at a moment’s notice. 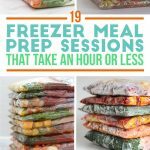 Not only do they save a lot of time, but the recipes are healthy, delicious, and budget-friendly too. 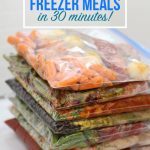 Moms often ask Kelly and me how to get kids to eat crockpot freezer meals, so we put together a list of recipes that our kids love. My kids aren’t terribly picky eaters, but it can still be hard to find meals that please every palate (and Kelly says that her kids would love to eat chicken fingers and mac ‘n cheese everyday). 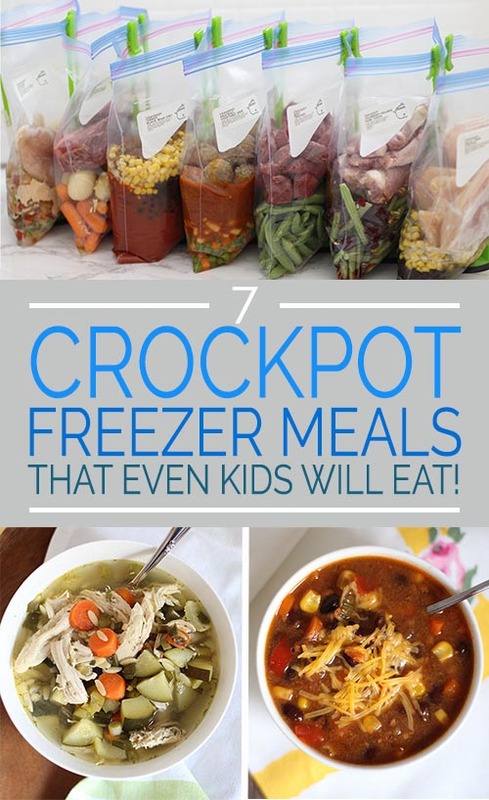 Below are seven recipes that unanimously receive, “Yummy dinner, Mama!” every time. Since none of the recipes require any cooking ahead of time, I highly recommend setting aside an hour over the weekend to prep and freeze all seven for a complaint-free week. Woot! 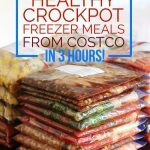 CLICK HERE FOR ALL OF THE FREE RECIPES AND A FULL GROCERY LIST. And for those nights when your kiddos grumble more than their tummies do, get them race to dessert with the Fred & Friends Dinner Winner Kids’ Dinner Tray. 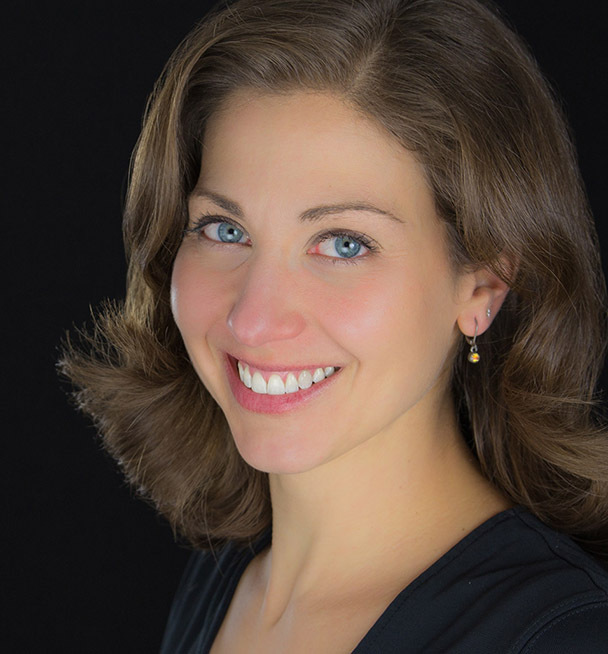 My kids have them and they’re such a hit that I’m telling all of the mom-friends that I know. With four fun designs; Dinner Winner, Pirate, Enchanted Forest, and Supper Hero, there’s a choice for for even the fussiest future foodie! 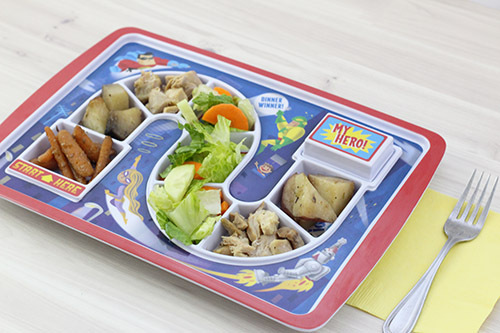 OK, OK…so maybe it goes against the whole “don’t play with your food” thing, but as far as getting your kid to finish their meal, this board game style plate actually works (and this post isn’t sponsored in any way. I genuinely love this tray and will only earn a small percentage of the sale if you decide to purchase one on Amazon.). If you have any other suggestions for kid-friendly meals, please leave a comment below. I’d love to hear from you.